Check which lancets are compatible with which finger pricking devices and vice versa with the MIMS finger prickers/lancets table. 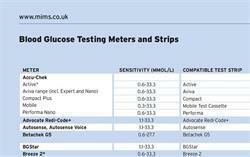 This table lists devices for finger pricking (Auto Lancet, Autojet Impression, Glucoject Dual S, IME-DC, Microlet, Monojector, Penlet II, Prestige Smart System and Soft Touch), along with lancets available on NHS prescription. 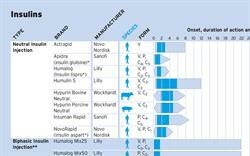 Lancet names link through to the full MIMS entries for more detailed prescribing information on each product.